August 13, 2018 – Many young Oklahomans are college-bound and in the midst of a major life transition along with their families. AAA Oklahoma finds that while focusing on dorm set-up and meal plans, important adjustments to insurance are frequently overlooked. A Consumer Reports article says dorm rooms can be a hot spot for thieves. Two roommates can have as much as $6,000 worth of electronics alone – laptops, tablets, smartphones and gaming systems – as well as other items of value in their small living space. According to U.S. Department of Education data of crimes reported on college campuses, theft of personal property is the most common crime, followed by motor vehicle theft. If you live in a dorm, some personal possessions may be covered under your parents’ homeowners or renters insurance policies. Expensive items such as computers and other electronics may be subject to coverage limits under a standard homeowners policy, and some states require a special student endorsement. If you live off-campus, purchase renters insurance. Renters insurance is necessary to protect you and your belongings, and can protect you from liability in the event that someone is accidently injured on the property. Leave valuables at home. While some valuable items, such as laptops, are essential on campus, items such as expensive jewelry and electronics may be best left at home. Safeguard your items from theft. Always lock your dorm room door and never leave belongings unattended on campus. According to the Insurance Information Institute, the library, dining hall and other public places are the primary areas where property theft occurs on campus. Coverage may depend on whether you leave home or stay in the area. 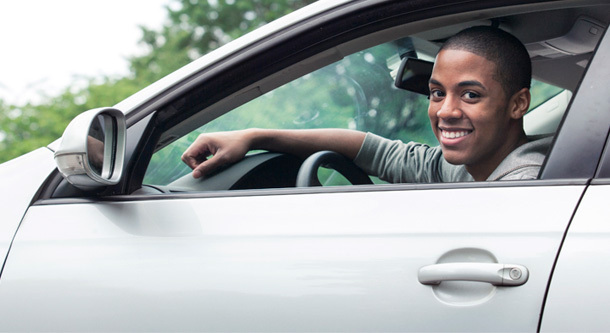 If you bring a car to campus and remain on your parents’ policy, coverage likely still applies. If you attend an out-of-state school, make sure your insurance coverage follows you. It gets a little tricky if the student takes classes year round and does not plan to return home during the summers. Technically, they have relocated to their college location. It gets a little more complex if they have on campus or off campus housing. Check with your insurance agent. To see what discounts you may qualify for and to ensure you have adequate coverage while away at school, contact your insurance agent. If you have questions about any or are concerned about gaps in your existing coverage, contact a local insurance agent at 866-AAA-4YOU, or aaa.com/insurance.